A recent Missouri court case has prompted me to revisit attorneys’ fees provisions in contracts I draft and negotiate. The case, Midland Property Partners, LLC v. Watkins, doesn’t break any new ground, but it reminded me how important the language can be. Even before reading Midland Property, I’d had attorneys’ fees provisions on my mind. Under the “American Rule,” which is followed by courts in Missouri and most of the rest of the U.S., the parties to breach of contract suits have to pay their own attorneys’ fees — even when they win the case. As a practical matter, this means that it’s often uneconomical for a party to enforce its contract because it’ll still have to foot the bill for its lawyers. I’ve advised a number of clients who’ve had to make the decision to sue or not to sue, and the inability to recover enforcement costs really affects the calculus. The American Rule can be overridden by inserting a contract clause that entitles a party to recover its enforcement costs, including attorneys’ fees. Such clauses can be one-sided (giving the right to one party but not the other) or mutual (generally giving the prevailing party the right to recover expenses from the non-prevailing party). Some factors to consider in deciding whether to include an attorneys’ fees provision, and whether it should be one-sided or mutual, include the relative financial wherewithal of the parties, the likely relative costs between the parties of enforcing the contract, whether you’re more likely than the other party to breach the agreement, and whether it’s the sort of contract you’d go to court over in the first place. As the Midland Property case cautions, once you’ve decided to include an attorneys’ fees clause in a contract, you have to be clear about what it covers. The clause in Midland Property, which was contained in several promissory notes, provided that Watkins must pay “all reasonable costs incurred by [Midland Property] in collecting or enforcing payment” of the notes. Thus … Missouri courts, in accordance with the American rule, have favored the award of attorneys’ fees only where a contract expressly authorizes their recovery. Here, the Notes provide merely that Appellant must pay “all reasonable costs incurred by the [Respondents] in collecting or enforcing payment [of the Notes].” Such language does not expressly authorize the recovery of attorneys’ fees in addition to the other ordinarily recoverable statutory costs. The Notes, therefore, do not contain a provision that would expressly permit Respondents to recover attorneys’ fees. Clearly, in Missouri at least, you must be crystal clear in your contract that you want a party to be entitled to recover its attorneys’ fees. Ken’s suggestion generally covers the territory well, but I agree with Jill Johnson of the St. Louis law firm Thompson Coburn who wrote a blog article about Midland Property titled Want to recover attorneys’ fees in Missouri? Make sure you use the magic words. A good reminder for us here in NY, as well. If the language had provided that Watkins had to pay all “costs, expenses, and fees incurred by [Midland Property],” would the result have been different? In that phrase, attorneys’ fees are still not specifically referenced, yet surely “fees” includes “attorney fees.” Perhaps the court would have then said that it had trouble with the “in collecting or enforcing payment” language as providing an insufficient nexus to the incurrence of attorneys’ fees. But to make that case, I suspect that the court would need to look to different precedent. I don’t know whether that language would have been sufficient for the court, but I’ll continue to call out attorneys’ fees. I am a bit surprised that courts focus on the word “costs” as including court-related costs alone, although there’s dictionary and case support for it. I think most people think of attorneys’ fees (which are generally much higher than court costs) when they read these provisions. Plus, I think most people think of “costs” as being synonymous with “expenses” and not having a narrow technical meaning. If you’re going to go to the trouble of overriding the common law to shift the costs of contract enforcement to the other party, wouldn’t you want to capture the most significant elements of those costs/expenses/fees? It’s worth noting that the law in some states does not permit one-sided attorneys’ fees provisions. For example, in California unilateral attorneys’ fees provisions are automatically construed to be reciprocal under Civil Code section 1717. Thanks, Aaron, for pointing that out. In deciding whether to include an attorneys’ fees clause, also consider the likelihood of your client’s ever collecting from a less creditworthy counterparty. If in practice you know your client will never collect from the counterparty if the client prevails — but you know the counterparty will collect from your client if the counterparty prevails — then don’t include an attorneys’ fees clause. Also beware of statutes that infer mutuality in a one-way attorneys’ fees clause. NY Real Property Law Section 234 offers a great example of both of my points: If a residential lease obligates a tenant to reimburse the successful landlord’s attorneys’ fees, then the law will automatically infer a reciprocal obligation, which in all likelihood will never be performed (though as always it depends on circumstances). So a NY landlord may think twice before including an attorneys’ fees clause in a residential lease. 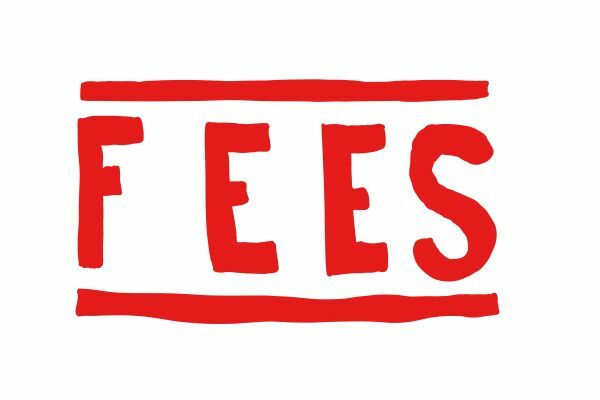 Finally, if you want to collect attorneys’ fees, include the words “attorneys’ fees.” I agree with the Missouri decision and find it unsurprising given the long established history of the American Rule.